Looking for a great mattress deal to brighten your April? Research shows you should be getting around eight hours of sleep each night, and if you add that up, you'll realise that's a third of your life in bed recharging. So, spending a few £££s on your mattress seems pretty fair, right? However, there's definitely no need to over-spend when purchasing a mattress, which is where we come in. You can indeed put a price on a good night's sleep, but we'll make sure it's the best one around thanks to our intuitive price comparison tools and recommendations from our experts. Use the links (right) to jump to the best current mattress deals. 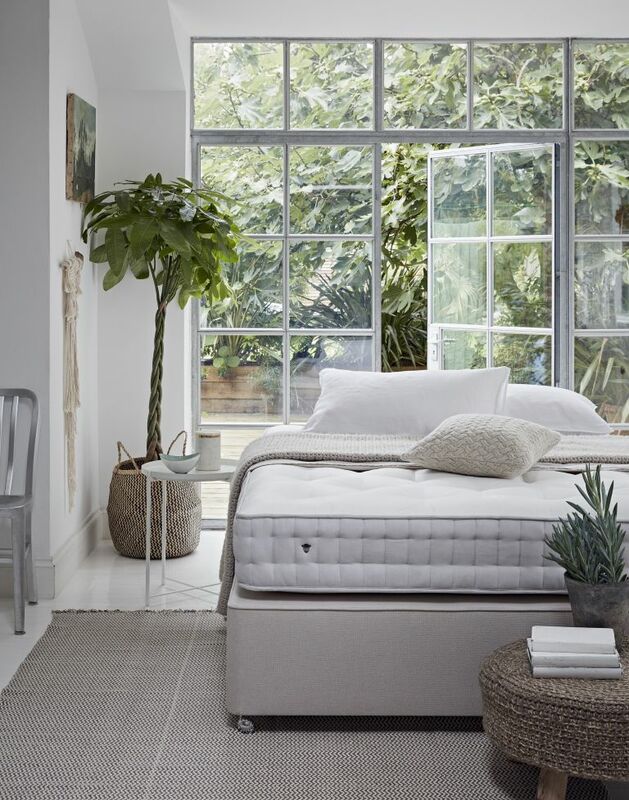 For more on mattresses, from reviews of the best known mattresses to buyer's guides suited to your sleeping position, check out our pick of the best mattresses for a good night's sleep this year. And look at all the rest of our current bargains on everything from TVs to sofas to broadband packages on our deals page. If you're in need of a new mattress and are also on the hunt for some deluxe pillows, this is the perfect deal for you. When you buy the mattress OTTY Hbrid this month, you can get £75 the mattress, or £25 off and two free deluxe pillows worth £54.99 each, or two free adjustable pillows worth 84.99 each if you buy the mattress at full price. Those purchasing a single mattress will get the same deal but with one pillow. Is my new mattress the right size? Will your mattress fit your bed frame? Take care to compare the mattress widths and lengths with your bed measurements. For example, Ikea has European and UK standard sizes of beds from single to kingsize, with the standard UK sized frames differing dependant on design, so to be sure you may want to head over to their online guide. Is the mattress right for you? There are a few different types of materials used in mattresses, as well as hybrid options that include latex or gel, but the two most common types are memory foam and pocket sprung. What about mattress firmness? Mattresses range from soft medium; medium; medium firm; to firm and extra firm. In addition to the best mattress deals we can find at the moment, we've also included highlights of some of the best mattresses around and the cheapest prices for them. You probably already have a size in mind if you're replacing an old mattress or fitting on an existing bed frame, so we've split this article into different size guides to help you out, from a twin (aka the single in the UK) to a California king bed. US: Twin mattress dimensions: 39-inch x 75-inch. Depth varies. UK: Single mattress size: 90cm x 190cm approx. Depth varies. Despite the twin name, this is the smallest mattress size found outside of baby cots and cribs. Generally used in children's rooms or in smaller living spaces like studio apartments for adults, if you're tall, it's worth noting that they're only 75 inches in length (US). US: Twin XL mattress dimensions: 39-inch x 80-inch. Depth varies. Rarely seen in the UK, the twin XL isn't actually that much bigger than a twin mattress: it's five inches longer but the same width. Ideal if you're limited on space or have a teenager at home who won't stop growing. US: Full-sized mattress dimensions: 54-inch x 75-inch. Depth varies. UK: Double mattress size: 135cm x 190cm approx. Depth varies. The double mattress, also known as a full-size in the US, is a good option for your first bed big enough for two. It's 54 inches wide so if you or your partner are prone to moving around much during sleep it might be worth considering something larger. Smaller apartments or guest rooms might be a better match with this size. US: Queen size mattress dimensions: 60-inch x 80-inch. Depth varies. Not often seen in the UK, Queen mattress deals are the most in-demand of all bed sizes in the US thanks to their happy medium of decent size and low cost. Both wider and longer than the full-sized double mattresses, a queen is the one most people go for if their room can accommodate a bed of this size (at least 10ft x 10ft). US: King-sized mattress dimensions: 76-inch x 80-inch. Depth varies. UK: King-size mattress size: 152cm x 198cm approx. Depth varies. For professional sprawlers or families with young children who like to hop in bed with their parents some nights or early mornings, as far as bedroom sizes go, you'll be needing a room measuring around 12ft x 10ft. More often than not, this is the biggest size most manufacturers do for mattresses. US: California king mattress dimensions: 72-inch x 84-inch. Depth varies. The biggest size available in the USA, the California king mattress is oddly enough actually four inches less wide than the king but four inches longer. Perfect for taller people and those with invading kids or a sleeping dog at the end of the bed. It's a smart idea, that if you're buying a new mattress, to also buy a topper with it. Not only does a mattress topper supplement the comfort of your mattress, but it can also add support to a mattress that may be too soft or firm for your liking. Along with your new mattress purchase, you're going to want to add a mattress protector to your basket, too. After all, there's no point in forking out lots of money on an expensive, luxury mattress if you're not going to protect it, right? That's like purchasing the newest iPhone and not buying a case to go with it. A mattress protector is an item of removable bedding which simply just sits on top of your mattress to protect it from spillages or stains and also allergens and irritants like bed bugs, mould or dead skin.